Sample floor plans for our log homes. 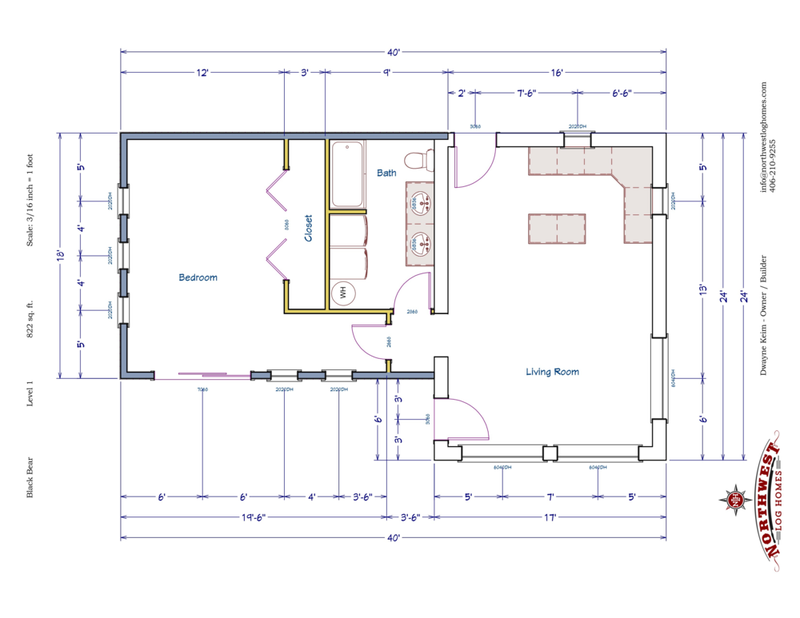 Here are a few sample plans to help you visualize your new home. These can be customized to your particular needs and budget. Main Floor - 822 sq. ft.
Main Floor - 864 sq. ft.
Polebridge Retreat - 1,060 sq. ft.
Main Floor - 572 sq. ft.
Loft - 488 sq. ft.
Hideaway Lodge - 1,064 sq. ft.
Main Floor - 1,064 sq. ft.
Mountain View - 1,196 sq. ft.
Main Floor - 764 sq. 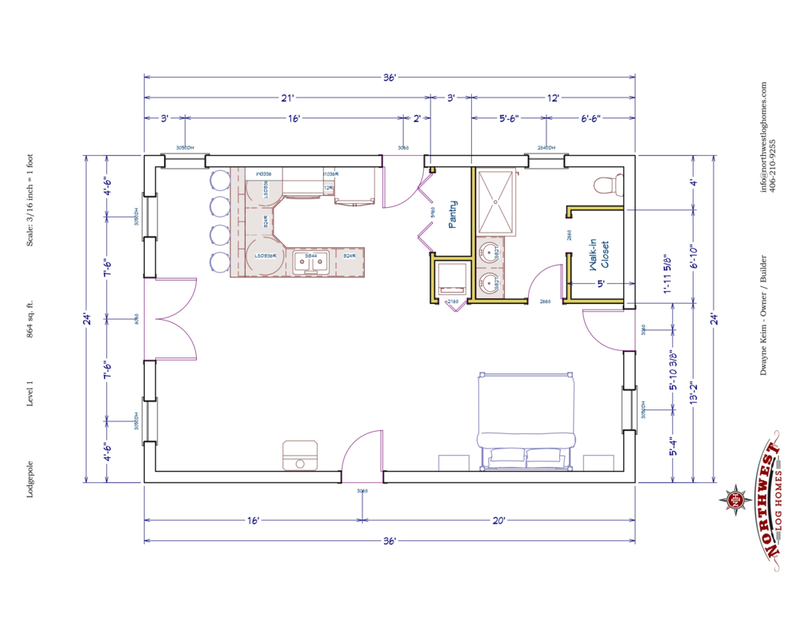 ft.
Loft - 432 sq. ft.
Montana Retreat - 1,200 sq. ft.
Main Floor - 720 sq. 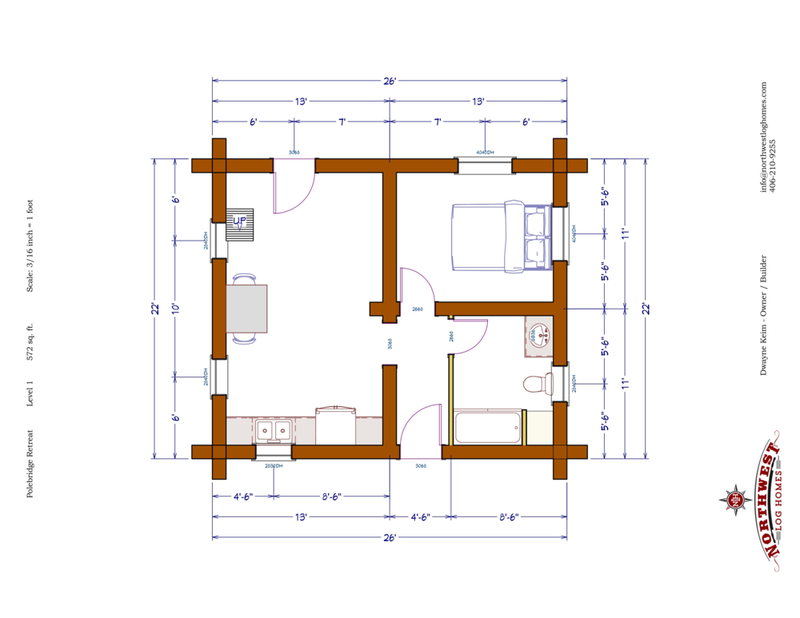 ft.
Loft - 480 sq. ft.
Elk Lodge - 1,512 sq. ft.
Main Floor - 1,008 sq. ft.
Loft - 504 sq. ft.
Sunrise - 1,600 sq. ft.
Main Floor - 1,600 sq. ft.
French Twist - 1,696 sq. ft.
Main Floor - 1,168 sq. ft.
Loft - 528 sq. ft. Still Waters - 1,960 sq. ft.
Main Floor - 1,200 sq. ft.
Loft - 760 sq. ft.
Mountain Top Lodge - 2,035 sq. ft.
Main Floor - 1,480 sq. ft.
Loft - 555 sq. ft.
Big Sky - 2,208 sq. ft. Basement - 912 sq. ft.
Main Floor - 912 sq. ft.
Loft - 384 sq. ft.
Koocanusa - 2,464 sq. ft. Basement - 1,008 sq. ft.
Loft - 448 sq. ft.
Whispering Pines - 2,520 sq. ft. Basement - 1,260 sq. ft.
Main Floor - 1,260 sq. ft.
Rocky Mountain - 2,592 sq. ft.
Main Floor - 1,728 sq. ft.
Loft - 864 sq. ft.
Trapper's Lodge - 2,790 sq. ft.
Main Floor - 2,076 sq. ft.
Loft - 714 sq. ft.
Hillside Cottage - 3,060 sq. ft. Basement - 1,190 sq. ft.
Main Floor - 1,190 sq. 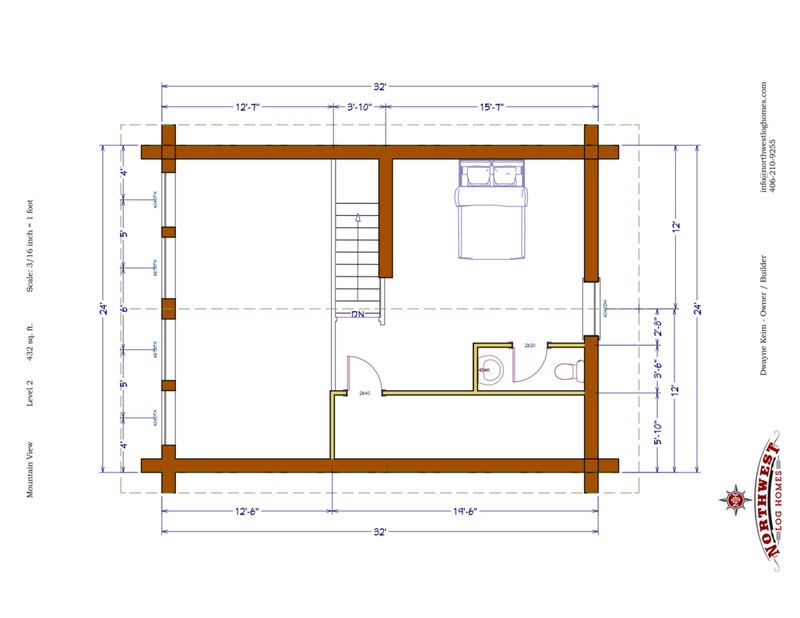 ft.
Loft - 680 sq. ft.
Kootenai - 3,150 sq. 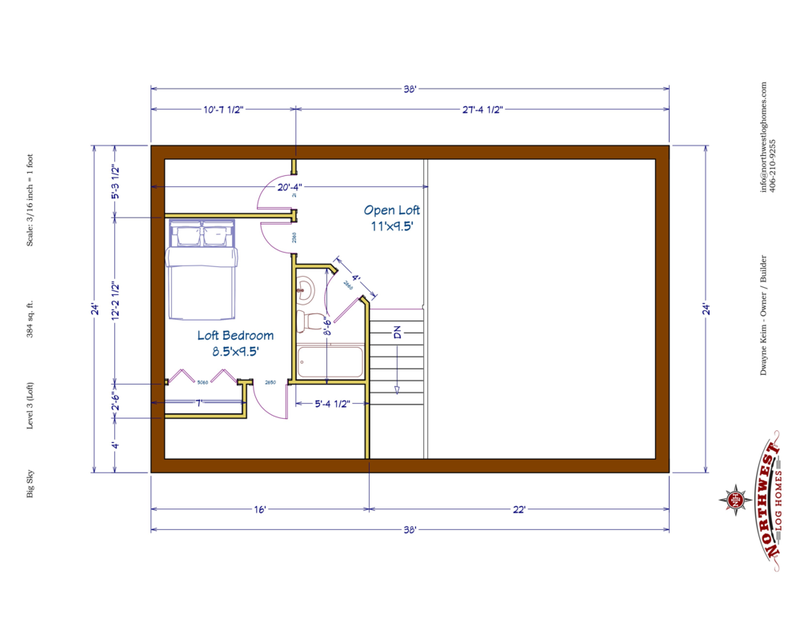 ft.
Loft - 630 sq. ft.